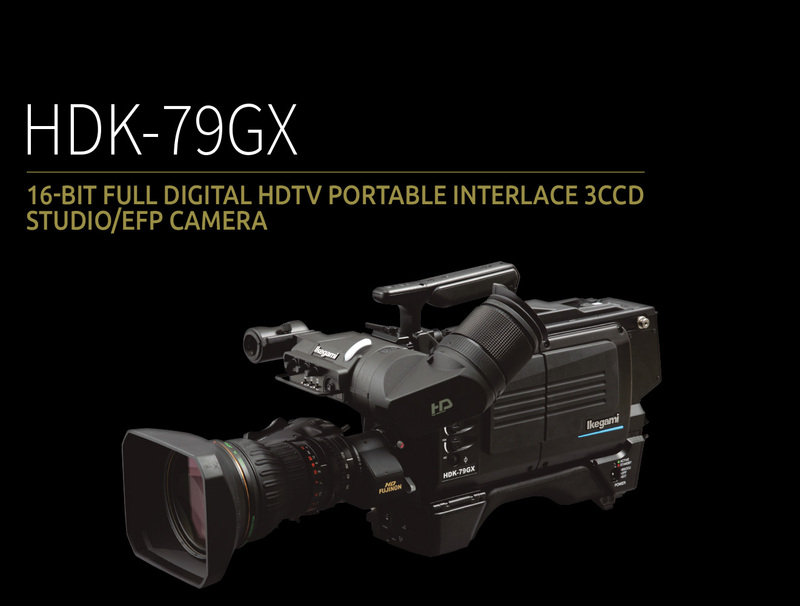 The HDK-79GX is a state of the art Full Digital HDTV Portable Camera with superior picture quality and high reliability for studio and field HD production. 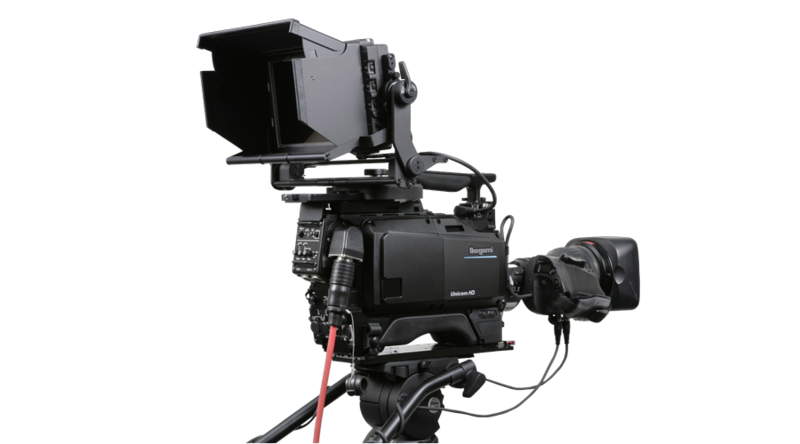 It reproduces the outstanding performance of Ikegami’s obsolete EX-series and adds new features and accessories associated with the Unicam HD. The HDK-79GX incorporates a newly developed FPGA together with advanced full digital process ASIC to achieve outstanding picture performance. 2/3-inch 2.3 Mega pixel AIT CCDs are employed to achieve 1000 TVL horizontal resolution with excellent signal to noise ratio of 60dB at F10 (1080/50i) sensitivity. With a docking style camera body, either an FA (Fiber Adaptor) or TA (Triax Adaptor) can be mounted depending on the use. Two channels of QTV output (VBS) are available for prompter and external monitoring purposes. The AUX OUT (VBS) connector can be assigned to QTV-1, QTV-2, or Main video by menu. Note:BSF-55 doesn’t support 2nd QTV. CCU -970/BS-97 requires 2nd QTV option. Master Gain Control, Variable Color Temp., Custom Gamma functions are newly incorporated by using advanced digital technology, providing favorable images with flexible adjustments. 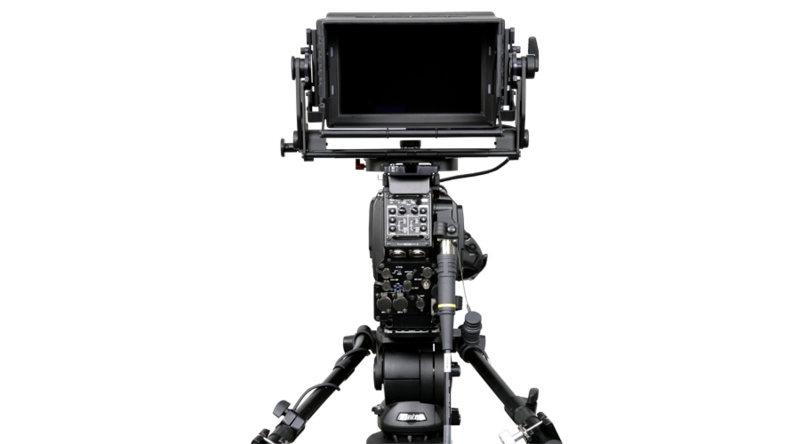 There are two types of camera operator assist functions incorporated in the HDK-79GX camera head. The viewfinder detail(VF DTL) function allows the camera operator to increase the detail edges to the viewfinder video for easy-focusing. 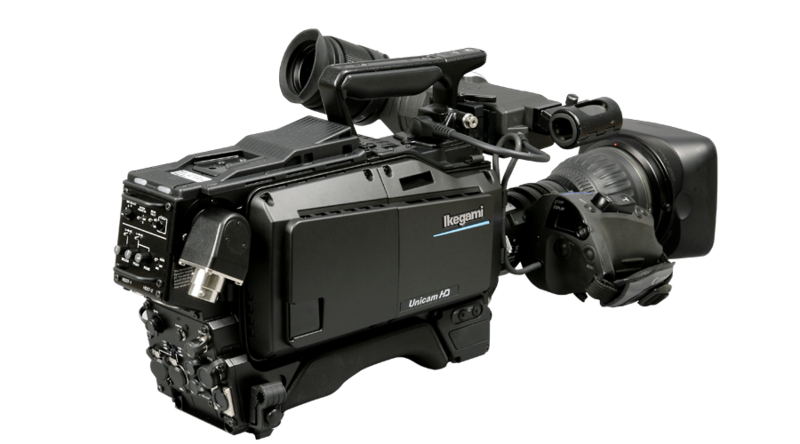 In addition, Ikegami unique Focus Assist function is newly incorporated useful tool, providing very distinct enhancement to the viewfinder edge signal to enable the camera operator to make critical focus adjustment. The Lens Aberration Correction function is newly incorporated for minimizing the blur and colored edges caused mainly by lens chromatic aberration. The triple layer filter system can be remotely controlled from OCP/MCP. The three layers are ND (100%, 25%, 6.2%, 1.6%), EFF (Clear, Cross, Snow, Foggy), and Electronic Color Compensation (ECC: 3200K, 4300K, 5600K, 6300K, 8000K). In addition, there is the Variable Color Temp. function that enables the camera operator to variably control the color temperature from 2,000K to 20,000K for more precise adjustment at ease. The HDK-79GX features the Digital Extender function that instantly goes up to 4x to magnify the image at the center of shot without any loss in image sensitivity. * It will reduce the resolution of the image. The SE-H700 System Expander enables the use of the 9-inch viewfinder and full studio lenses with the HDK-79GX, converting the portable camera into a full facility studio camera. Installation of the camera into the SE-H700 is easy, and conversion back to portable configuration is quick for maximum operating flexibility. There are two types of camera control panel systems, each with a wide range of camera control capability. The conventional OCP allows direct and quick control of various camera parameters using dedicated buttons on the panel. The OCP-200 / MCP-200 Network based control panel system allows any OCP to control any camera with assignment set at the OCP itself. System wiring is simplified with control of up to 96 cameras via a single coax cable between CCU locations and video control locations. The OCP-200 and MCP-200 include touch screen LCDs. The depth-of-control of the OCP-200 can be selected from basic to complete to fit the customers’ operating discipline. Conventional one by one camera control connection is also available with the OCP-200. VBS signal 1 ch (QTV-1, QTV-2 or Main video selectable by menu) * Available with FA-55 only.